WEST MESH a Huge Success! It gives me great pleasure to announce that WEST MESH was a huge success! 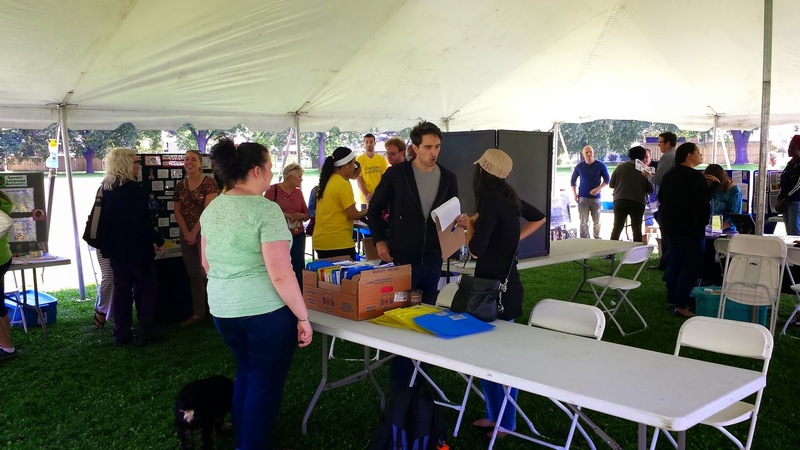 We had 25 west-end groups and stakeholders on hand displaying all of the positive things they are doing in our west-end community and 367 total participants!!! A big thank you to Julian Franch and the Our West End Roundtable for hosting the event. here is some information on Windsor SOUP. WindsorSOUP provides individuals within the community an opportunity to come together and experience a unique collaboration of non-profit projects within the community. At each event hosted, four different community projects will have the opportunity to raise awareness to the public, addressing the need and impact of their project. The Bloomfield House - is excited to have been given the opportunity to provide a free music program to the community and it has been a pleasure watching it grow as it has brought a great group of people together. This coming Friday, our music program is hosting a fundraising concert that will feature a budding choir that came together under the Bloomfield House roof. We hope that you'll be able to support this fundraiser, as Victor Hugo once mused - "Music expresses that which cannot be said and on which it is impossible to be silent." Ticket's are a suggested donation of $10 and they can be purchased at The Bloomfield House or at the door the day of the event. West Mesh! Come Celebrate Great People and Organizations in the West-End! West Mesh, Get Connected to your neighbours and community! The greater West Windsor community is invited to a celebration of our neighbourhoods and organizations. Join us for an afternoon filled with fun, games and entertainment. Together, we are Our West End. Our West End, a proud funded partner of United Way/Centaide Windsor Essex County, and the Our West End Roundtable is looking forward to having you join us in celebrating the West End of Windsor during an afternoon of engaging activities, live entertainment, and delicious food. Admission to the celebration is free and all are welcome. Our West End, in collaboration with the Our West End Roundtable is coordinating a community celebration called West Mesh. West Mesh will be taking place at Mic Mac Park on Saturday, September 20th, between 12:00pm and 4:00pm. The goal of the event is to facilitate the interaction of community residents through an afternoon of engaging activities, lively entertainment, and food. 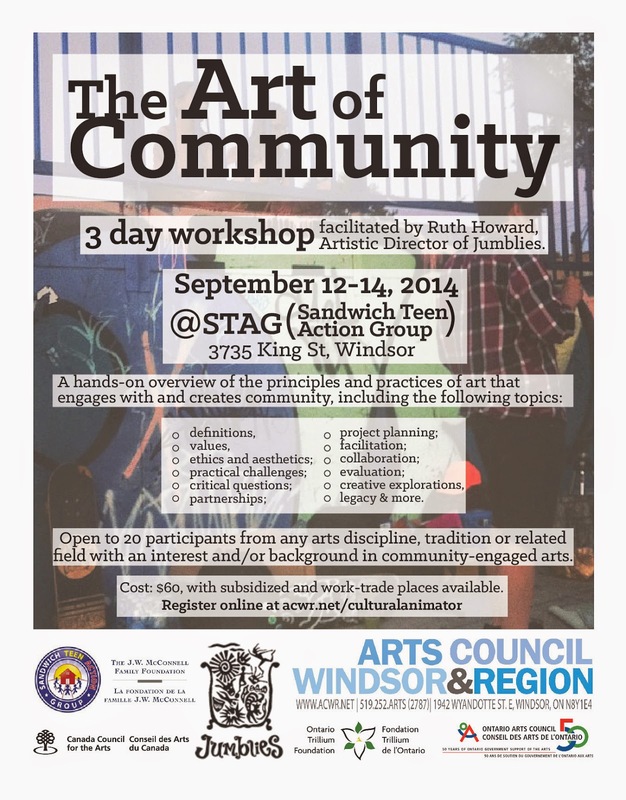 Furthermore, the celebration will highlight the community resources available in the West End of Windsor. Kyle Vermette and a group of dedicated parishioners are fighting to save Assumption Church in the west-end. Below is a press release and call to action that he recently sent me. I encourage you all to please read and spread the word. Assumption Church is an historical gem in our community that needs to be preserved and cherished. I fully support saving Assumption Church. There is also a fundraising group that has raised millions of dollars in money and pledges and it is my understanding that they will continue raising more. Please read below. 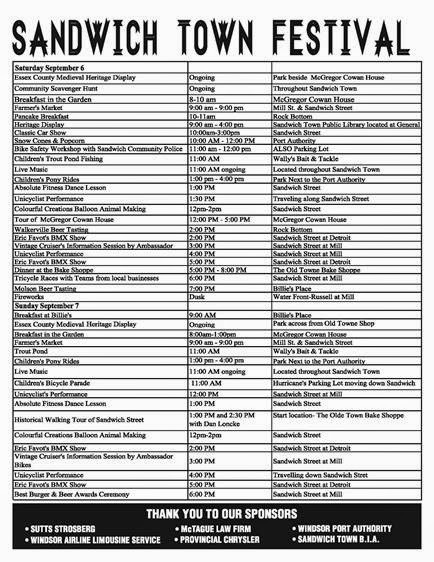 I received the following itinerary and scavenger hunt questions from one of the key organizers of the Sandwich Towne Festival. Please share this with friends and neighbours and I hope to see you there!